The article is a well-writen tutorial on capacitive sensing. 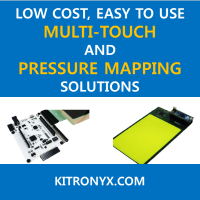 It covers operating principles, applications, and implementation issues of capacitive sensing. Also, readers may be interested in his book "Capacitive Sensors: Design and Applications" . L. K. Baxter, Capacitive Sensors: Design and Applications: Wiley-IEEE Press, Aug. 20, 1996.